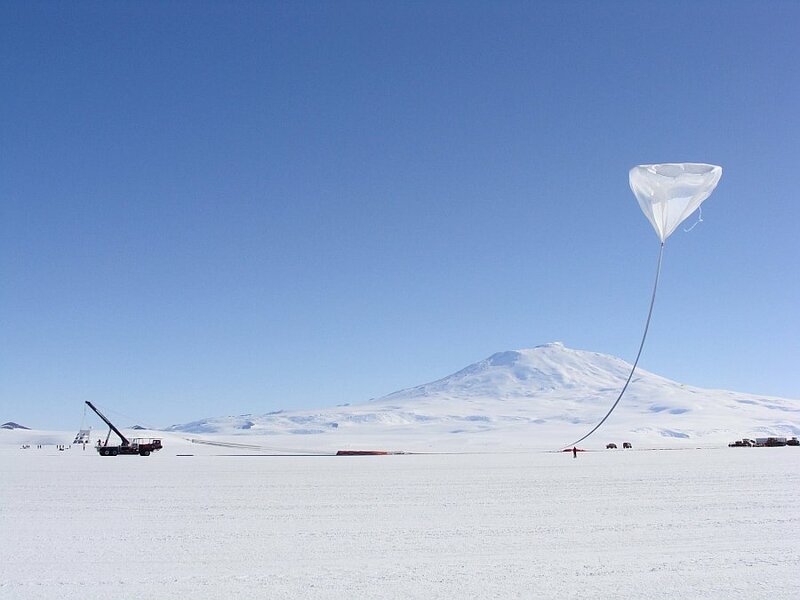 An experiment designed to perform direct measurements of cosmic ray composition and energy spectra cosmic rays over the elemental range from hydrogen to iron (Z = 1 to 26), through a series of long duration balloon flights. The final goal of this multi-mission experiment is to collect sufficient statistics to test the current models of cosmic ray acceleration and propagation in the Galaxy. CREAM has a larger effective geometry factor for protons and helium than any previous and current experiments being one of the most complex instruments ever flown in a balloon. Is comprised of several major detector sub-systems as can be seen in the schematic view at left (click to enlarge). Due to the "modular" nature of CREAM (of which two instruments suites were built to be flown on alternate years) it's configuration can be changed from one mission to another. Following is a summary of the instrument's composition. At the top of the experiment is located the Timing-based scintillator Charge Detector (TCD) what we would define as the "heart" of the innovative concept behind CREAM. The most interesting events the instrument measures are those where a high energy nucleus enters through the top, interacts in the target and exits through the bottom of the instrument. In such events a large number of secondary shower particles are back-scattered towards the upper detectors, producing and effect that can interfere severely with accurate charge measurement of the primary nucleus. The TCD takes advantage of an aspect of such events not previously utilized: their time structure. In CREAM, the arrival of the light signal from a primary nucleus at the TCD photo-multiplier tubes (PMTs) precedes the earliest possible arrival of a light signal from a back-scatter particle by 3 nanoseconds. Thus, using an ultra-fast readout system one can separate the primary signal from back-scatter noise without resorting to high channel counts. The TCD is comprised of two layers, each with four fast scintillator paddles side by side. The paddles in the two layers are oriented with their long axes perpendicular to each other. Each paddle has an adiabatically shaped light guide glued to each of its two ends made of UVA acrylic to reduce the effects of Cherenkov radiation generated by particles traversing it, without significant reduction of the blue scintillation signal. The entire assembly is covered with crinkled aluminum foil and black Tedlar to assure light-tightness. To further reduce uncertainty due to back scatter, a layer of scintillating fibers is positioned at the bottom of the instrument. This detector, labeled S3, measures the time at which back scattered particles start their way back to the TCD. From simple geometry and the speed of light one can then calculate the time at which the primary particle would have traversed the TCD scintillators, with high accuracy. 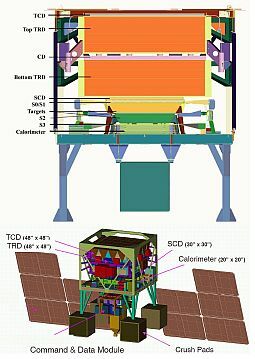 Below the TCD are two Transition Radiation Detector (TRD) modules. The TRD is comprised of two essentially identical modules, with a Cherenkov Detector between the two. Each module has 4 layers of polyethylene foam serving the dual purpose of radiator and light-weight mechanical support. Each foam layer holds two layers of 256 thin-walled aluminized Mylar proportional tubes filled with a 95% Xenon, 5% Methane gas mixture. Using such tubes obviates the need for a pressure vessel, significantly reducing the weight of the detector. Gas is introduced before launch so to avoid degradation of tube's resolution once in the air if some gas is loss, the tubes can be refilled trought a system of manifolds connected to a small reserve tank. 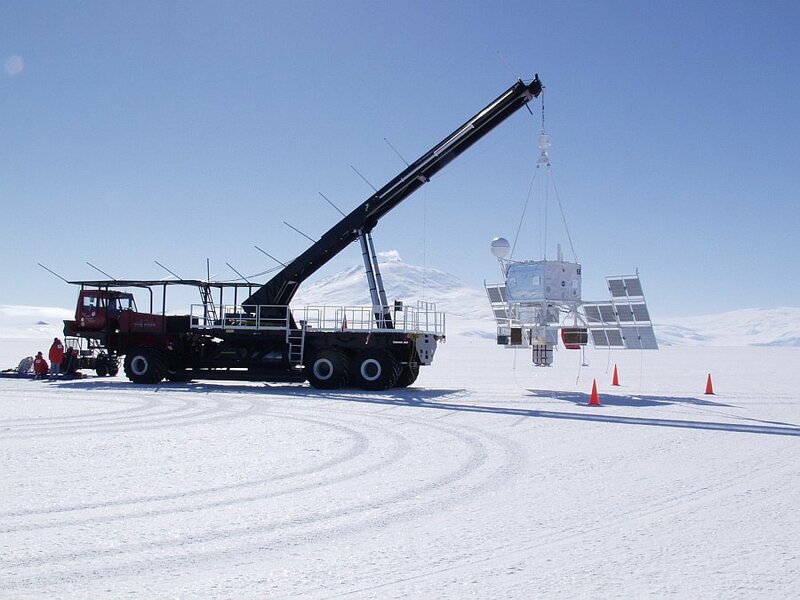 The Cherenkov layer inserted between the two modules serves as a veto system for non-relativistic particles, reducing the High-Z trigger rate due to the low geomagnetic cutoff in Antarctica to an acceptable level. This detector is read out by eight PMTs. Below the TRD modules lies the calorimeter module, comprised of several parts. At the top is located the Silicon Charge Detector (SCD) comprised of 26 ladders arranged in an aluminum frame each holding 7 sensors fabricated from a single high resistivity round silicon wafer. To minimize back-scatter noise each sensor is segmented into a 4x4 array for a total of 2912 channels. The calorimeter itself is composed by a sampling tungsten/scintillating fiber device, with twenty tungsten plates each followed by a layer of scintillating fibers. At the center of each but the top tungsten layer is a stainless steel wire for mechanical support, needed to sustain the 10g parachute opening shock at flight termination. At the corners of each tungsten plate are machined tabs with mounting holes used to bolt the 350 kg stack to an aluminum honeycomb pallet at the base of the instrument. Over the calorimeter itself are mounted two targets comprised of blocks of densified graphite cemented in carbon/epoxy composite cradles. The targets induce nuclear interactions for protons and Fe nuclei allowing the calorimeter to measure incident energy through the resulting showers. As the calorimeter was designed as thin as possible to increase the geometric acceptance, the trajectory reconstruction lever arm is lengthened by instrumenting the volume above and between the two graphite targets with the addition of fiber hodoscopes. Directly above the upper target are 4 crossed active layers dubbed S0/S1, with each layer comprised of 360 scintillating fibers, used to aid track reconstruction and to provide supplemental charge identification. Another hodoscope with one crossed pair of fiber layers, dubbed S2 is mounted between the upper and lower graphite targets serving as another source of tracking information and helping determine if an interaction occurred in the upper target. CREAM has a trigger system which signals the occurence of one of the two classes of events of interest: high-energy showers, and high-charge incident nuclei. It is comprised of a Master Trigger, that receive inputs from the calorimeter trigger and TCD trigger. The former was designed for high energy shower events, while the later was designed for events in which a high-charge nucleus traverses the TCD/TRD. The normal operation of CREAM during a long duration balloon mission generates a great amount of data. This information flow circulates through 8952 channels of data which concentrates electronic signals coming from the calorimeter, hodoscopes, SCD, TCD ,TRD and CD. With a trigger rate of ~30 Hz, sending 16 bits for each of these channels through the telemetry link for each event would require a bandwidth of nearly 4.3 Mbps. This forced to implement an intricated web of algorithms in both hardware and software to reduce the data stream to fit the most interesing events detected by the instrument in the available bandwidth of 45 kbps while the remaining events are written by the science flight computer to a 43 GB flash drive, which must be recovered after the flight. 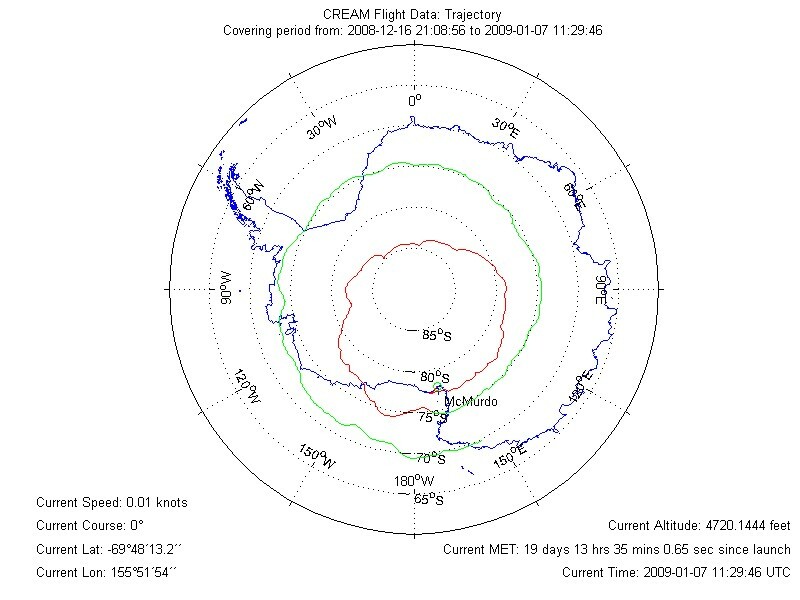 While in most cases the science functions of the experiments flown under stratospheric balloons by NASA in Antarctica are controlled through the same telemetry link used for balloon operation and monitoring from the Operations Control Center in Palestine, Texas, CREAM have his own remote Command System designed to receive orders and send data. Commands are entered in a workstation located in the Science Operations Center at the University of Maryland from which they are sent to the Engineering Support Center at NASA's Wallops Flight Facility through the internet. The commands are then forwarded to White Sands, NM to be sent up through the Tracking and Data Relay Satellite System (TDRSS) and are received in the payload by the TDRSS transponder connected to the Command and Data Module (CDM). 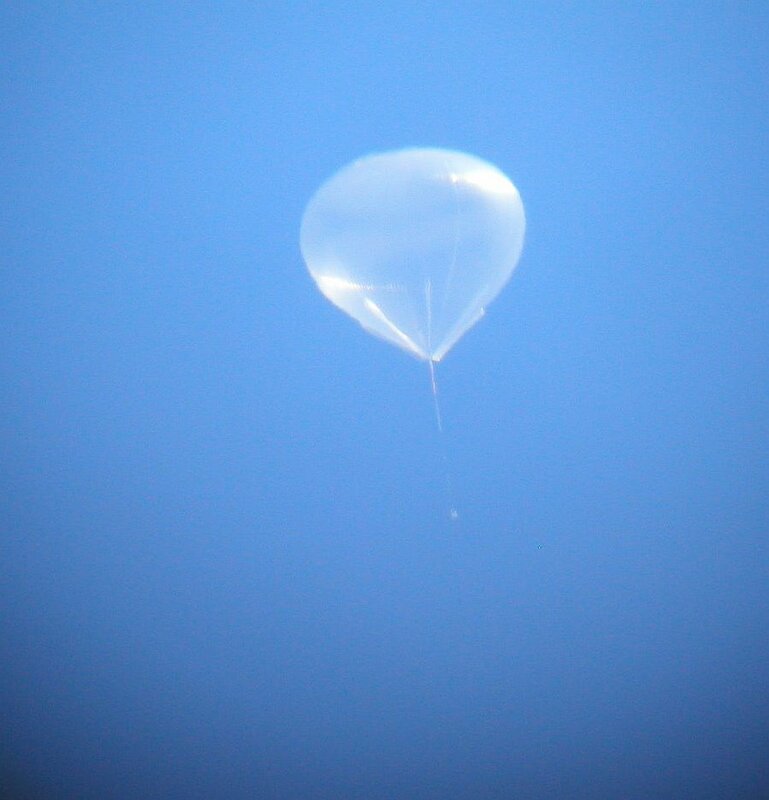 In case the balloon traverses a zone where none of the TDRSS satellites are in view, a backup link using the Iridium satellite system can be used for command uplink and/or to down-link a reduced stream (up to 2.4 kbps) of housekeeping data. The entire instrument is operated and monitored via the Science Flight Computer (SFC). It consists of a single-board computer with a PC/104 interface running Linux that builds data from the different detector subsystems into a single record each time the Master Trigger signals a valid event has occurred. The SFC then splits the event record into packets that it sends to the CDM for archival and telemetry to the ground. Also hardware commands are passed through the CDM and SFC to the various modules, with the possibility of sending commands that modify how the SFC operates. Finally a Housekeeping System monitors and periodically reports the readings of nearly 400 sensors to monitor the health of the instrument. Power of +31 VDC is provided by the balloon-craft power system and maintained by a 10 panel solar array able to generate about 1400 W at altitude. This power is feed to six separate circuits, with individual relays for the calorimeter, the hodoscopes, the SCD, the TCD, the TRD and the SFC. 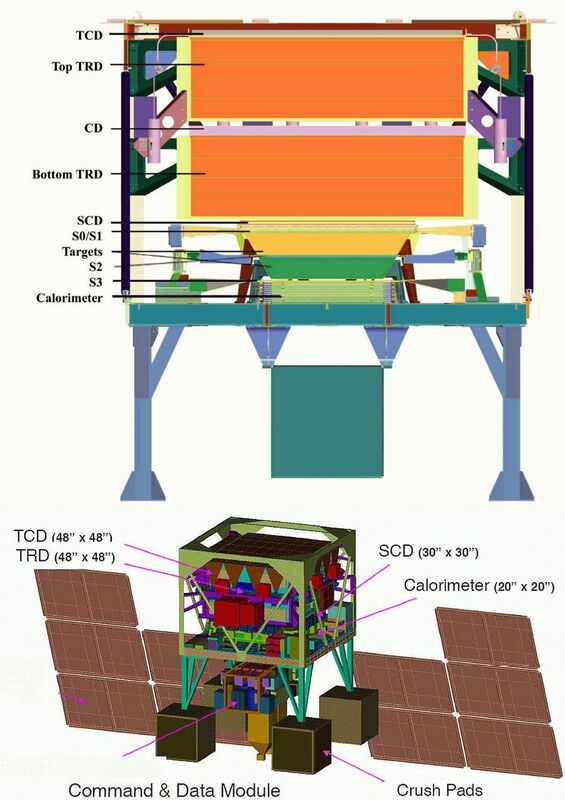 The total power consumption of CREAM is in the order of 379 W while the rest of the balloon support systems uses another 400 W. Any excess power generated by the solar panel array is routed in flight to shunt resistors mounted under the legs of the gondola frame where it is radiated away. The gondola on which the instrument is mounted, with the exception of ther rotator that maintains the solar panels allways oriented to the sun, is an integrated assembly. It consists of a square metal structure designed to host the instrument and all balloon asociated systems as the command data module (CDM), instrument support structure (ISS), Solar Array panel support system, antenna support systems, ballast hopper, and crush pads. It was fabricated under NASA's balloon-flight requeriments taking in consideration the nominal shock of parachute aperture at termination, the ground impact at landing and that all instrument electronics boxes, calorimeter, carbon blocks, TRDs, hard drives and TDRSS transponder can be removed with minimal tools during recovery. The balloon was launched at 21:54 utc on December 19th 2008, by dynamic method using launch vehicle (The Boss). This was a smooth launch in good weather conditions. Following a nominal ascent phase,the balloon reached float altitude of 128.000 feet at 2:18 utc and started a counter-clockwise flight path. The flight was terminated on January 7, 2009 at 10:27 utc after a flight of 19 days, 13 hours, and 13 minutes. Because termination aircraft were not available, the termination was performed using OTH (over the horizon) TDRSS commands. The parachute cutaway was successfully performed using combined GAPR (Gondola Automatic Parachute Release) and SAPR (Semi-Automatic Parachute Release) systems. 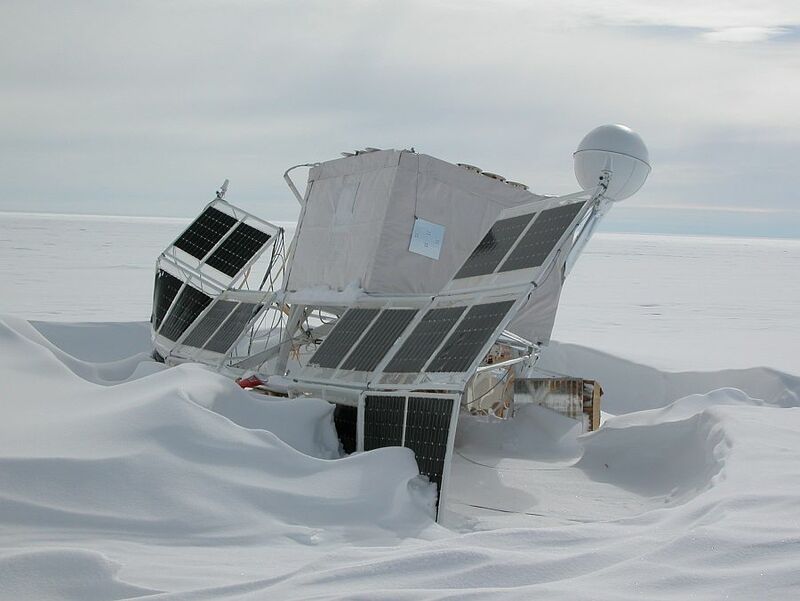 The payload impacted 560 Nautic miles N-NW of McMurdo Station. 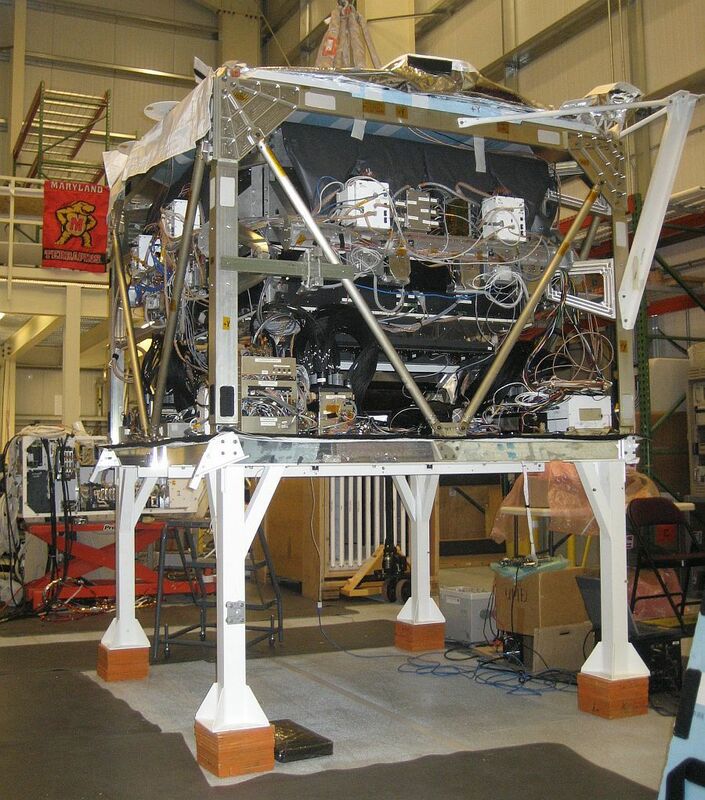 For the fourth flight of CREAM, the principal modification from the standard configuration was the addition of a Cherenkov imager (CherCam) optimized for charge measurements. It consisted of a silica aerogel Cherenkov radiator plane and a photon detector plane with an array of 1600 1-inch diameter photomultiplier tubes (PMT's). The planes are separated by a 10 cm ring expansion gap to ensure that most Cherenkov photons are collected in 8 tubes surrounding the tube hit by the incident particle. With CherCam, in addition to the TCD based on timing, and the SCD based on pixelation, the CREAM-IV instrument implemented virtually all possible techniques to minimize the effect of backscatter on charge measurements. Cosmic Ray Energetics And Mass : Expected Performance 27th International Cosmic Ray Conference. 07-15 August, 2001. Hamburg, Germany. CREAM for High Energy Composition Measurements 28th International Cosmic Ray Conference. July 31-August 7, 2003. Trukuba, Japan. Design and Construction of the Silicon Charge Detector for the CREAM Mission 28th International Cosmic Ray Conference. July 31-August 7, 2003. Trukuba, Japan.